Although he ended up being unfairly overshadowed by his followers, Julian Duvivier (1896-1967) was one of France's craftiest, most influential filmmakers. Suffused with passion, energy and a dose of fatalistic attitude, his eclectic 1930s output in particular left its mark on fellow filmmakers like Jean Renoir, Marcel Carné and René Clair. 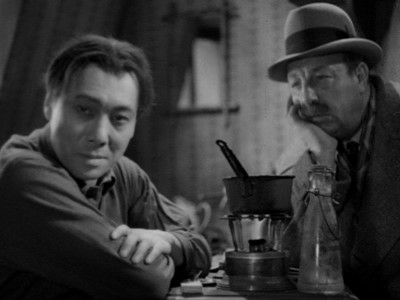 Duviver's artistry was best expressed in 1937's Pepe le Moko, the thrilling proto-noir starring Jean Gabin. Along similar lines to that accomplished landmark in Poetic Realism, the four films found on Criterion's Julien Duvivier in the Thirties Eclipse set give a comprehensive overview of a wholly skilled director at his peak. With David Golder, a poignant drama of a millionaire who takes revenge on his avaricious wife, Duvivier dove into sound films with a surprising amount of panache and elegance. 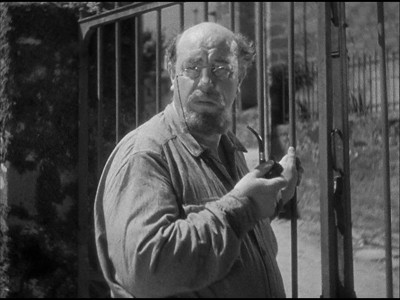 For the title role, actor Harry Baur embodies that middle-aged, world-weary regret also seen in Emil Janning's character from that year's The Blue Angel - as with Jennings, it's a remarkable performance that would mark the beginning of several collaborations with Duvivier. David Golder is a Russian émigré who gave up his orthodox Jewish beliefs to pursue riches in the banking industry. Estranged from his greedy, hen-pecking wife, Gloria (Paule Andral), David lives for the adoring attention of his jazz-baby teenaged daughter, Joyce (Jackie Monnier). In failing health and at a crossroads with his business, David soon realizes that Joyce is as much of a monster as her mother, needing material goods (a Bugati sports car!) to express love. He nevertheless decides to make one last sacrifice to secure money for the girl, despite learning that she's actually the daughter of Hoyos (Gaston Jacquet), his shifty associate and Gloria's longtime lover. David Golder looks and feels quite different from other early talkies (especially those from the U.S.). 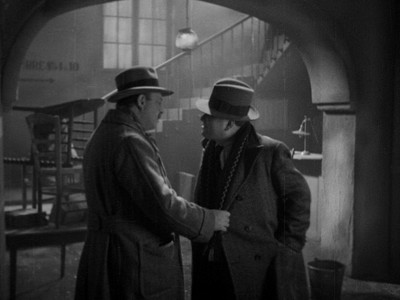 Duvivier gives the story a lot of forward momentum and fluidity, marking the story's increasing sense of dread by placing the characters farther back into cold, empty spaces. Baur conveys David's increasing desperation magnificently, while Andrai and Monnier do excellently as these two shallow, fickle women whom Mr. Golder is stuck with. The film reaches maximum potency in the final reels, when David returns via boat from taxing yet triumphant negotiations with Russian oil barons. Finding companionship with a humble passenger (Charles Dorat), an orthodox Jew with dreams of success in America, Golder unloads all his life's regrets on the young man. Without divulging too much, it's a great end to a powerful melodrama. Duvivier re-teamed with actor Harry Baur for Poil de Carotte, a movie which features a similarly fractured family unit. This one, set in a bucolic French town, differs markedly in mood and spirit, however. Central character Poil de Carrotte (a great performance from young Robert Lynen), nicknamed "Carrot Top" for his unruly mop of hair, is a spirited yet sensitive little boy who desperately yearns for some kind of love from his middle-aged parents. His father, Monsieur Lepic (Baur), is too busy for the kid, however, while the entire family cowers under the flighty mother (Catherine Fonteney) who dotes on her two oldest children - lazy Felix (Maxime Fromlot) and dim Ernestine (Simone Aubry). Carrot Top finds some solace with his kindly, eccentric godfather (Louis Gauthier), while the family's new housekeeper, Annette (Christiane Dor) becomes the boy's staunch ally at home. However, Monsieur Lepic's all-consuming attempt to be elected the town mayer pushes the neglected Carrot Top to the brink of despondency. 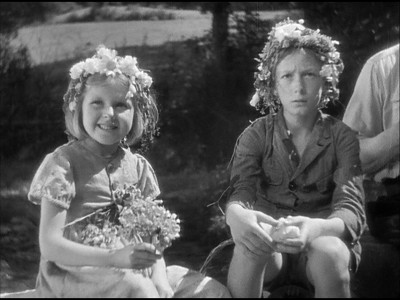 Duvivier goes a long way to establish a distinct feel for place in Poil de Carotte, which helps the movie at points when the story gets a little too leisurely. Aided by the winsomeness of boy actor Lynen, the film feels most like a wholesome Jackie Cooper vehicle from Hollywood, although Duvivier gives the familiar story a lot more panache. There are some intriguing flights of fancy here, such as when Carrot Top ventures outside in the dark and imagines himself pursued by diaphanous ghosts. Duvivier also makes the most of lovely outdoor settings, filming around the bucolic town of Correze, France, its dappled landscapes providing some contrast to the grim plot. With Duvivier's expressiveness at full-tilt, bolstered by the inspiringly cast Baur and Inkijinoff in a sinister cat-and-mouse game, La Tête d'un Homme seems like the most contemporary film on this set. The film does a good job of visualizing not just what's going on in the script, but the inner thoughts of the characters as well. 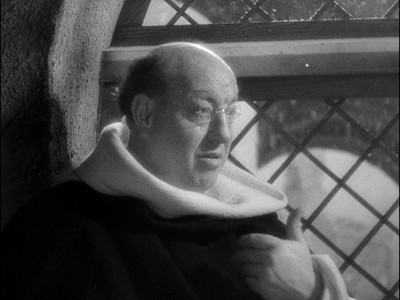 Although Alfred Hitchcock was carving out his own niche with similarly striking crime stories, Duvivier adds his own, twisted perspective to the genre. He evocatively takes viewers into a seedy, urban Paris of bustling cafés and crumbling apartments with predators waiting in every corner. Un Carnet de Bal, a.k.a. Dance Program, counts as the most surprising film on this set. Made as a follow-up to his international success Pepe le Moko, Duvivier comparatively poured as much feeling and ambition into this episodic, lavishly produced story of a beautiful middle-aged woman seeking out the various men who adored her in their youth. Central character Christine (Marie Bell) is a recently widowed, wealthy, childless French woman living in solitude on an enormous island estate in Italy. Idly wondering what would have become of her life had she chosen to marry someone else, she decides to dig up the old dance card from a ball she fondly recalled from 20 years earlier. With the names and current locations of her onetime ardent suitors, Christine goes on a continent-spanning re-connecting trip. 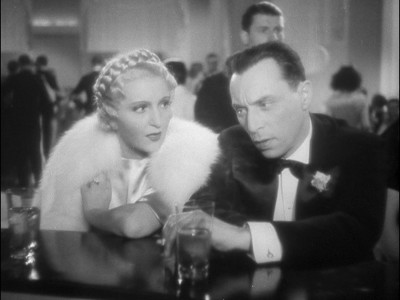 The men she encounters include a bitter lawyer-turned-gangster (Louis Jouvet), a Pyrenees mountain guide (Pierre Richard-Willm), a boisterous mayor of a small town (Raimu), and a haunted man who gave up love for the church (Harry Baur, in his last performance for Duvivier). The varied stories coalesce into a long yet worthwhile, pragmatic piece on emotional maturity and the tricks memory plays on the human mind. Suffused with as much Poetic Realism as Pepe or Grand Illusion, Un Carnet de Bal plays like a great film undone slightly by its own ambitions. Likely that's due to this film's length (more than two hours) and how the fates of some of Christine's ex-lovers are more exciting to witness than others. It works achingly well as a reflection of Duvivier's worldview, however. The director would work into his Hollywood output some of the same themes from this movie , including a scene where Bell nostalgically recalls her teenage dance as a lavish, beautiful night - when the reality was more modest and plain (Duvivier duplicated it almost verbatim in his 1941 Merle Oberon drama, Lydia). 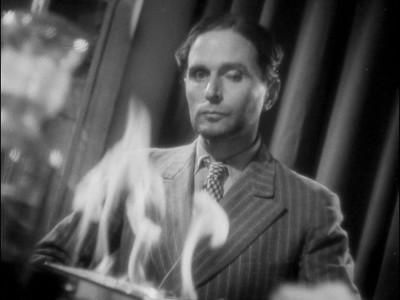 The most effective segment had actor Pierre Blanchar as Thierry, a once-idealistic medical student now stuck in a noisy apartment with a shrew-like wife, doing abortions on the sly. Coming back in contact with Christine proves to be a turning point in the man's life, though (as with some of the other encounters) it's not for the best. 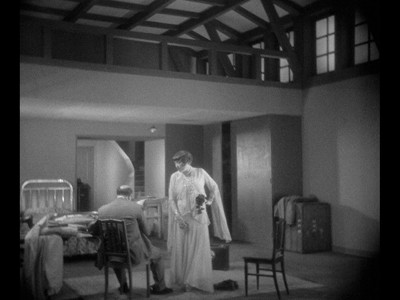 Julien Duvivier in the Thirties is packaged similarly to other Eclipse sets, with a paperboard slipcover holding together four clear plastic slim cases, one to a film. Essays on each film are printed on the inside front cover of each package. The picture quality varies across the four films, although for the most part they sport agreeable, clean-looking 4:3 transfers. Ironically, the oldest film David Golder has held up the best, with a beautiful, pristine picture marred by just a few white specks and dust. 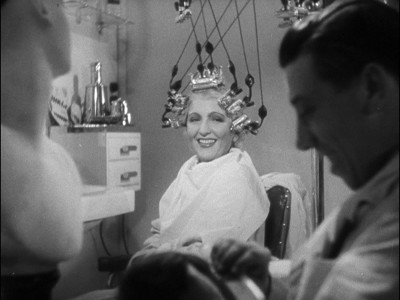 Poil de Carotte is in similar, near-flawless shape, although there are a few passages that jitter and one scene contains significant nitrate damage. The other two films have the same, pleasantly mastered picture with good detail and light/dark balance. They have noticeably more dirt and damage, however, with a few bits in Un Carnet De Bal having splicing gaps disrupting an otherwise smooth film. The discs sport pleasant, dynamically limited mono sound mixes with the expected amounts of pops and hiss heard in 1930s movies. While distortion appears briefly in all four films, the dialogue is cleanly done and not too crackly. Optional English subtitles are the default viewing option on all three discs. None on the discs themselves, although each film comes with a thoughtful essay from critic Michael Koresky, offering a wealth of background information with some critical analysis. The melancholy drama throughout Criterion's Julien Duvivier in the Thirties Eclipse set sheds some light on one of French cinema's pivotal yet overlooked figures. This four-film box is like caviar for fans of sophisticated fare of the era, although Duvivier's expert handling of several different genres will please anyone who appreciated quality directing. Recommended.